The text info below is copied from an OLD article from reddit.com. Some of the info or links may be outdated, but valuable insights can still be gleaned. I've noticed posts here on Reddit coming from their websites recently. The images they post are pretty easy to spot and don't get many upvotes, probably because of the transparent heresies, but here's some info I found in case you don't know. It should be noted that in their belief system, a woman called Lightning Deng or Yang Xiangbin is their 'Word' who appears in the flesh. They call her the 'end-time Christ' and 'Almighty God'. When they say "Almighty God's word", they mean her book which seems to be used as a kind of third testament that all but destroys the previous two, which they call "God's former works", the "Age of the Law" and the "Age of Grace". It looks like this Age of Judgment nullifies the 'former works'. 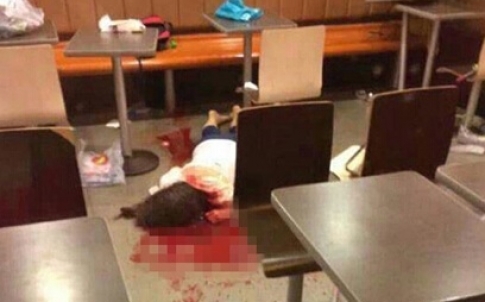 This next image is one they probably don't want you to see, taken after the beating death of a woman in McDonalds. When she refused to give a group of Eastern Lightning evangelists her number, they beat her to death: NFSL. Here is their rather lengthy English language video about recruiting bible-believing Christians to their religion: The Second Coming of Jesus | Gospel Movie "Ironclad Proofs—Disclose the Mystery About the Bible"
Cued up to 57:02 for the TL;DWers out there.
" For such [are] false apostles, deceitful workers, transforming themselves into the apostles of Christ. 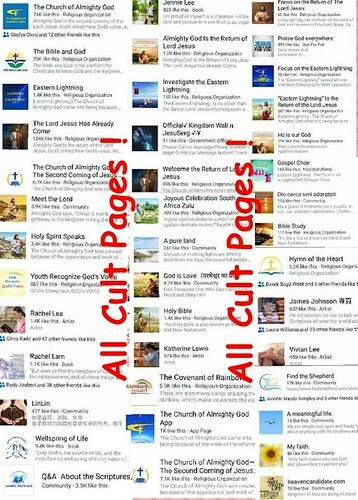 What exactly is it that makes The Church of Almighty God a Cult? 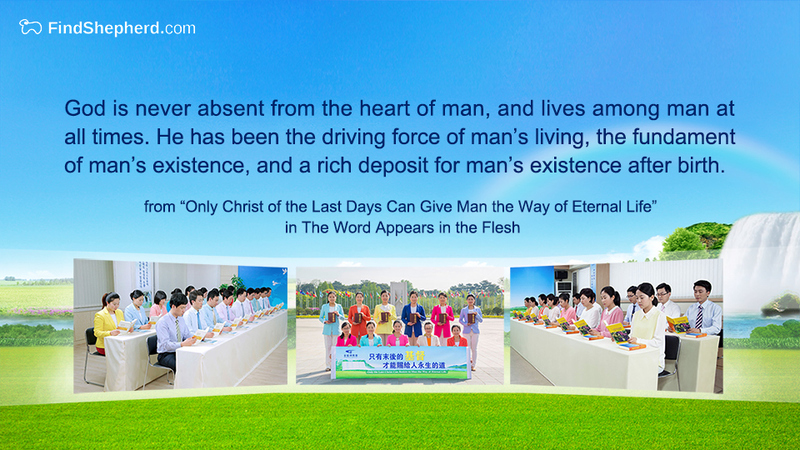 · He is called “The Almighty God” in this present Kingdom Age (and currently (( they think ))The Almighty God is a certain Chinese woman). Help spread awareness of this very deceiving cult to the world. Please like and share this page Exposing The Cult Of Almighty God. Every like it receives, it opens its visibility to that many more people. Jesus Christ is Lord and Savior, and He Is Coming Soon! But He is Not already here, and He is Not coming to Possess a Chinese Womans Soul! 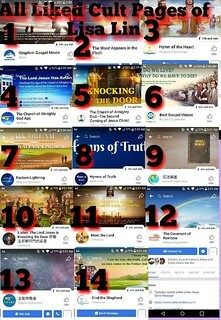 Here is a list of English Facebook pages linked to 9 almighty god cult websites. Note - its highly possible there still may be more, or new ones yet to be created.